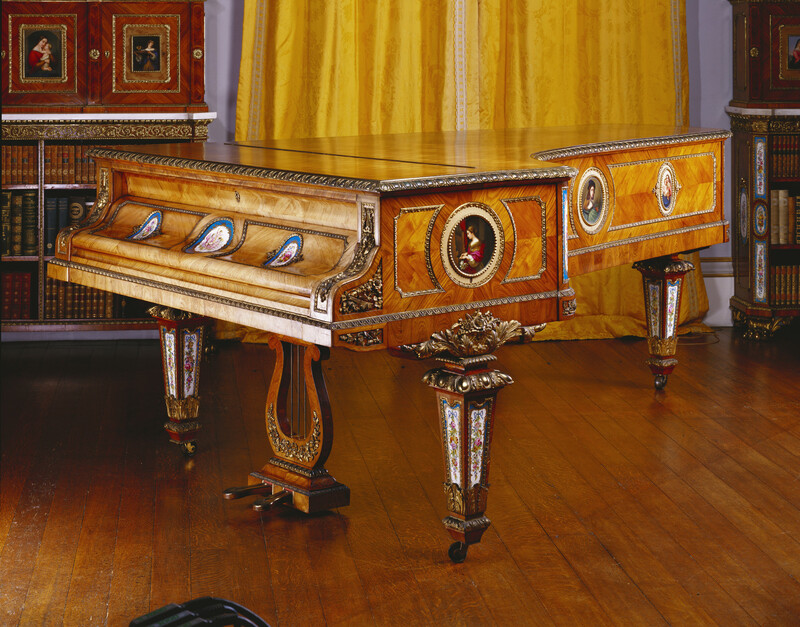 This piano was displayed in Erard’s Paris exhibition of 1849. The accompanying catalogue states that Prince Albert designed the case himself. The tulip-veneered case is mounted with porcelain plaques painted with floral borders. The sides have nine Berlin porcelain plaques after Old Master paintings, mounted in gilt bronze.